The mind is the wrong go-between to help us with our relationships.The mind will always bemoan its fate. It will never be satisfied. Its nature is only conflicted. It is in conflict in relationship. It is in conflict alone. The cave of the recluse won’t make us happy. The household won’t make us happy. The mind cannot be happy Then? 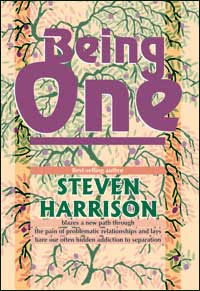 “Then … ?” is what this book is about, as best-selling author Stephen Harrison looks at the possibilities for peace and pleasantness in close relationships between people who remain confused and conflicted despite having found companionship and love. Are humans suitable companions for one another, even after graduating from all the one-on-ones and workshops on self-fixing? Well, maybe, he says, if they are so fed up that they give up. Thoroughly exhausted from trying to bring about the myth, they can finally experience what extraordinary changes are possible when self-centered effort no longer blocks free-flowing life in all its originality. ISBN: 81-89658-11-5; Price: Rs. 225; Pages: 160; Size: 5.5 X 8.5 in. A “powerful yogi” finally forced this sincere seeker into a profound realization that shut down his mind and put him directly in touch with something other than the ego. 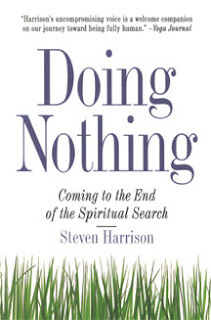 In simple yet breathtakingly impressive prose, Harrison provides a life-changing map to that space he found between thoughts, where divine consciousness is blatantly apparent. This fascinating exploration of a changed mind is for readers who have avidly followed practices that have not fundamentally changed their lives. “There is no way to praise this powerful, extraordinary book sufficiently. The honesty and integrity it calls for are a challenge.” --Joseph Chilton Pearce, author of The Crack in the Cosmic Egg. ISBN: 0-87477-941-3; Pages: 144; Price: Rs.175; Size: 5.5 X 8.5 in. Hard Back. If “love makes the world go ‘round” why is our experience of life and each other so unloving? Perhaps it is because we have become addicted to faulty survival techniques, institutions, and practices that make it hard to see ourselves in others. What we learn intellectually doesn’t help us be loving or recognize loving. Fantasizing is barking up the same tree. A sense of community between another or among many is natural, says this author, throughout the worlds of flora and fauna. 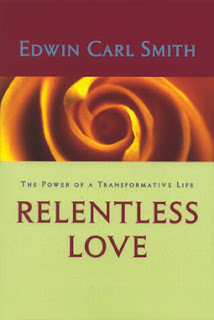 It’s a relentless force crammed with love that we can relax into but not acquire. That is his definition of the enlightened state that sets the stage for the condition of lasting loving. The core message of this book is considered secret in some traditions so that people don’t become even more lost in ideas. Emptying out the vocabulary of love yet retaining respect for loaded words like “trust” is part of becoming that new, ever-attractive person that others can’t help but love. Readers who “try on” the author’s discoveries may find that abandoning “strategies” and defenses brings about the conditions that were always there but only masked. ISBN: 1-59181-021-3; Price: Rs.100 ; Pages: 144; Size: 6 X 9 in. My email is dej1016@gmail.com. Will you be publishing "Coming Home" by Jan Kersshot, if so, when.